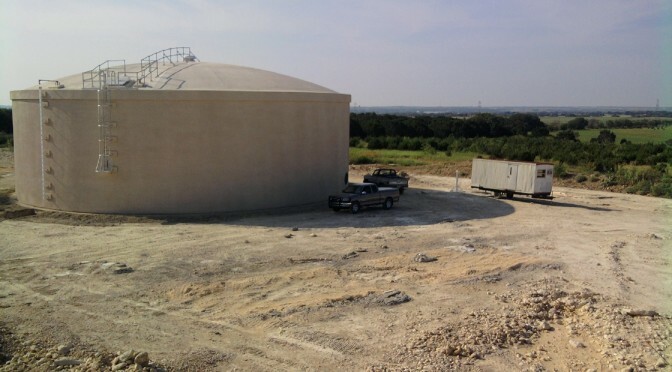 A 1,000,000 gallon precast concrete clearwell storage tank was designed by S. D. Kallman, L.P. for holding treated water at Central Texas WSC’s new Doc L. Curb water treatment plant in Salado, Texas. The clearwell was constructed by Natgun. The tank was completed and put into service in December 2011 at a construction cost of $625,550.